This in-depth program is intended to prepare skilled players for upcoming high school tryouts. Whether your goal is to make your high school golf team or be your team’s #1 player, this program is for you! All current and aspiring high school golfers are welcome to participate. Participants will attend Boot Camp five days per week and will receive five hours of group instruction per day. If you’re looking to take your game to the next level, this program can’t be beat! ** Note: Flexible scheduling available. Session Overview: Four of the five days will be dedicated practice/work days at Deerfield Golf Club. The fifth day will be a dedicated travel day, with students traveling to each of the golf courses at which high school tryouts will be held. The playing schedule will be announced prior to the start of the program. A private goal-setting session to identify both short- and long-term goals and golf-related aspirations. Lessons in how students can effectively document their daily progress in order to organize their thoughts, practice routines, and hold themselves accountable. Instructions on how to prepare for each golf session through a daily routine that includes dynamic physical and mental warmup exercises. On-course tactical tournament training that focuses on teaching techniques for strategic planning, course management, decision-making, situational awareness, recovering from trouble, gaining confidence, and staying focused in the present moment. Dedicated short-game instruction with a focus on building the student’s confidence and creative shot-making skills. Detailed full-swing analysis to identify weaknesses and help explore potential adjustments. Full-swing projects and personalized drills to provide students with efficient and effective practice methods. Developing each student’s “personal par” and expectations for improvement. Empowering the student’s ability to achieve their best, in the moments they will need it most. ** Note: This program allows for flexible scheduling. We are happy to help accommodate your family’s busy summer plans! Students are not required to attend consecutive weeks (or days). 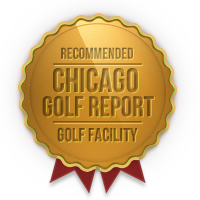 For scheduling questions, please contact us at info@thegolfpractice.com.